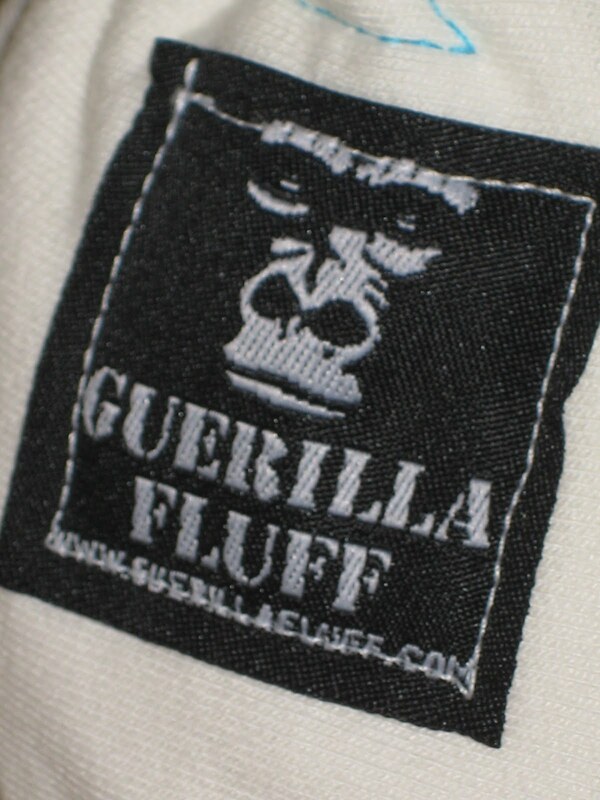 I became interested in Guerilla Fluff because of a custom she did. I still have diaper envy. Unfortunately, that customer provided the fabric, so none for me. Wah wah!! I had been on the hunt for the most absorbent fitted I could find, and while browsing Guerilla Fluff, I discovered The Utilitarian Night Time Diaper (sorry, the website is all flash, so I can’t link). The Utilitarian has an outer, hidden and inner layer, all of Bamboo Rayon Fleece. 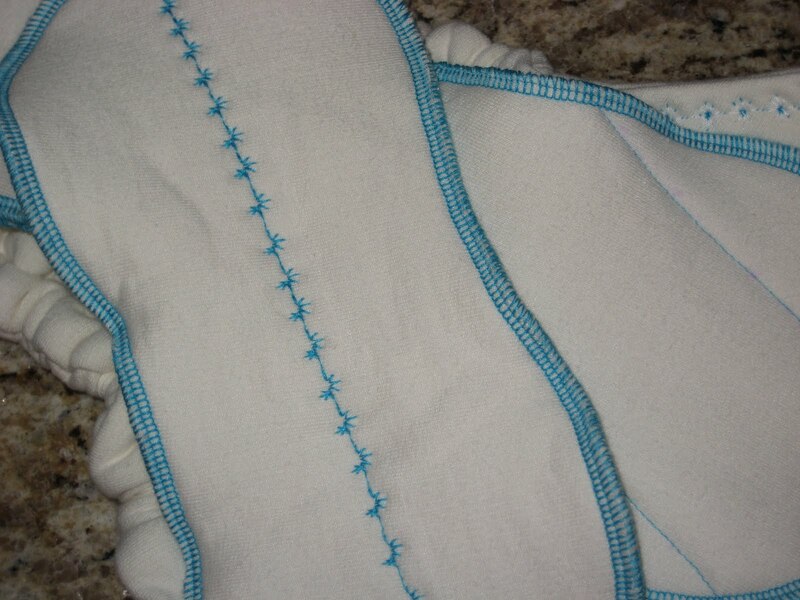 The diaper is turned and top-stitched, and has decorative stitching reminiscent of Frankenstein (the buyer chooses the color). Even my hubby thought it was very cool. That’s one of the most awesome things about Guerilla Fluff. They’re not your typical cutesy diapers, though she can make those too if you want them! What really sold me was that the soakers (two of them) were each made of 3 layers of bamboo fleece, there was an option to add Zorb (I chose this option) and a precision doubler made of 2 layers of bamboo fleece and 1 layer of wool was included as well. This was the most absorbency I’d seen in a fitted! The washing instructions said I didn’t need to pre-wash, though it would become more absorbent with future washings, so I only washed once. I do love a handwritten note! The first time I used the diaper, I folded over all of the soakers. I huffed and puffed and managed to get pins in. It was hard to get a good fit with the pins! I put the wool cover on, followed by a fleece sleep sack. Naturally, he soaked right through it! I didn’t contact Novia about it because I knew it was operator error and had nothing to do with the diaper. 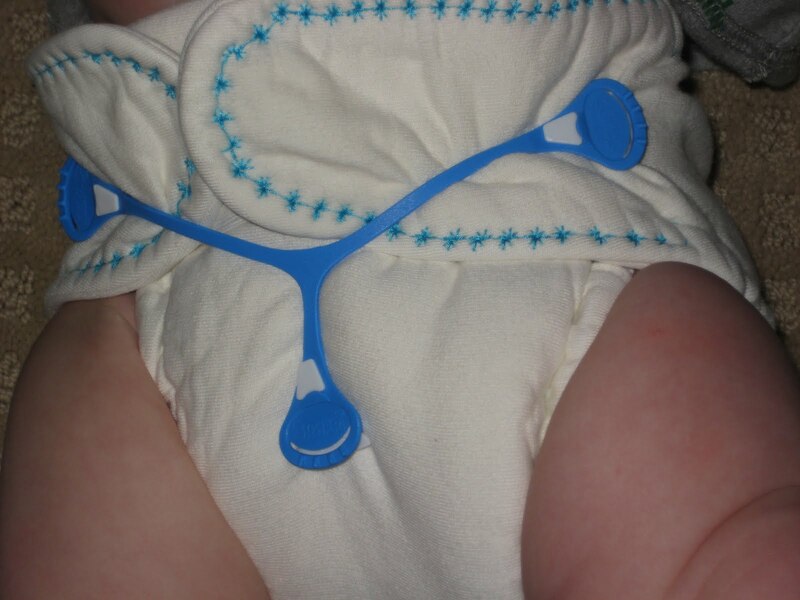 I was in my cloth diaper group, feeling sorry for myself and trying to figure out if my super-soaker son was hiding a garden hose in his crib that he was soaking his diapers with. I had no idea that Novia was a member! She sent me a private message offering to help me troubleshoot. 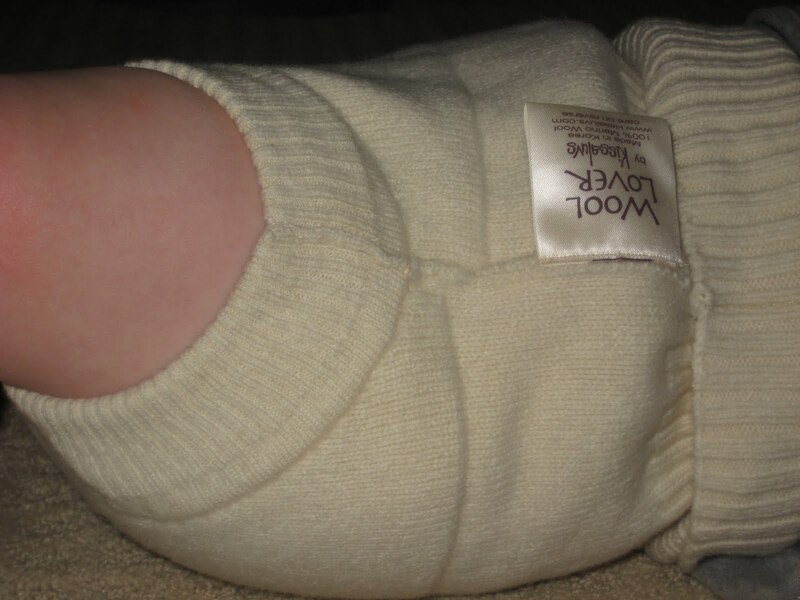 With everyone’s help, I figured out that I needed to fully prep the diaper (babies who aren’t as heavy wetters would probably do fine using it without prepping) get a tighter fit with a snappi, and lanolize my wool more heavily. I ordered a snappi from Abby’s Lane, lanolized the heck out of my wool, and figured I could prep the diaper while I waited for the snappi to arrive. The snappi came too quickly, so I had to set it aside while I washed & dried the diaper a total of about 10 times. This time, I didn’t fold the soakers over. I got a nice snug fit. I topped it with my freshly lanolized wool. In the morning, he was dry! Since all of the materials he was cocooned in are breathable, I did feel ever so slight dampness, but it was the kind of dampness you feel when you ignore your dryer for a while, then can’t tell if your clothes are damp or just cold. No biggie. I’ve used it several times since then with no leaks, though he has managed to completely saturate all of those layers!! I love my Guerilla Fluff! 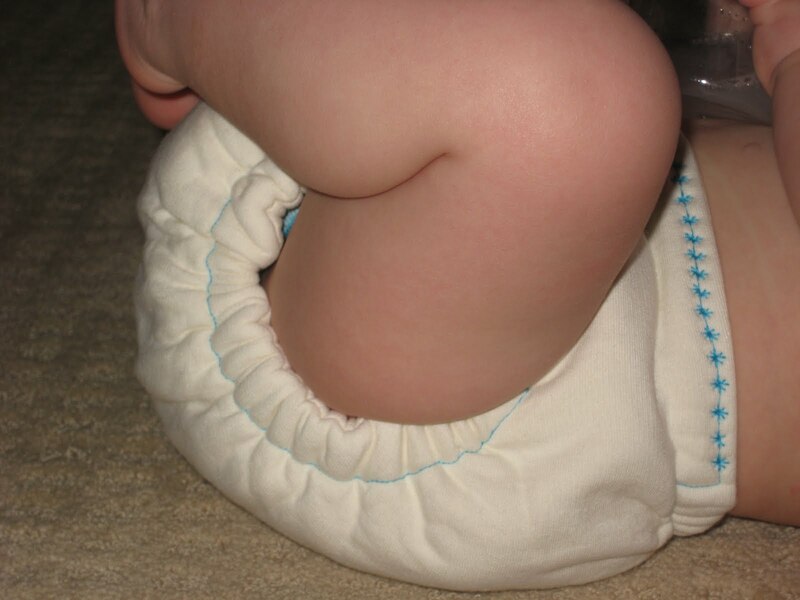 Novia also makes a one size diaper with snaps, a one size pinnable, a sized side snapping diaper, and the Utilitarian in original (10-24 lbs) and toddler (25-40 lbs). She can also add snaps to the utilitarian now. She also makes bamboo prefolds and full size and “precision” doublers. Customs are closed for now, but check out Guerilla Fluff on Facebook, GF on Twitter and GF on Blogspot to keep up with what’s happening! Edit August 2010: This is still in our regular night time rotation, though we don’t need as much absorbency anymore. >returning the favor.Sure wish they had this stuff when my kids were little. >I am here from FF and am now following you. I hope you follow me back. Happy Easter. >Thanks for following! I'm following back from FF. Love the Gorilla fluff, if only I would have had it when the twins were babies.